June 1, 2016, Fort Meade, MD. — Nikki Pruett, owner of KP3 Sweets, a family owned and operated sweet shop, is holding a fundraiser from June 1st to June 15th to support her sister, Tenora Finley, and her breast cancer foundation, Rays of Hope Foundation (ROH). Fifty percent of all proceeds from KP3’s will go towards ROH’s efforts to support single mothers with breast cancer as they go through the process of recovery. Finley, a single-mom was initially diagnosed in 2011 and later founded the nonprofit in order to fill the needs of women going through treatment who required additional help that a spouse or partner might typically provide. Since ROH’s founding in 2014, over sixty thousand single mothers have been diagnosed with breast cancer. Learn more about how to help at http://raysofhopefoundation.net/ or make a purchase towards the fundraiser by visiting http://www.kp3sweets.com/. Founded in 2014, Rays of Hope (ROH) is a nonprofit organization that provides support to single mothers with breast cancer—from treatment through recovery. ROH provides transportation to treatment facilities, meal delivery and childcare. For more information, visit http://raysofhopefoundation.net/. Opened in 2016, KP3 Sweets is a family run business committed to creating edible excellence. 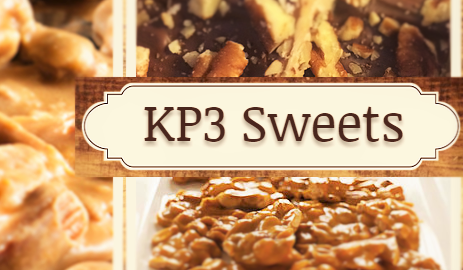 For more information, visit http://www.kp3sweets.com/. October 15, 2015, Atlanta, Ga.—Employees at Q’s Traditional Cuts, a barber shop that caters mainly to professional men, are wearing T-shirts during October in homage to breast cancer awareness month. Desiring to raise awareness about a specific, homegrown organization, the employees’ T-shirts also include the logo of Rays of Hope Foundation (ROH). ROH is a local, nonprofit organization that helps provide basic needs to single mothers battling breast cancer. Finley, a single-mom to two children, who was initially diagnosed with breast cancer in 2011, founded the nonprofit in order to fill the needs of women going through treatment who don’t have the additional help that a spouse or partner might typically provide. Mr.Quick, owner of Q’s, was eager to participate in the cause. Not only does he know Finley personally, but he has experienced hardships in his own family due to breast cancer. Mr.Quick proudly announced that all employees would be sporting their T-shirts, with the ROH logo, every Saturday during the month of October. The motto—“real men wear pink for the cure”—is a statement that Mr.Quick hopes will start a dialogue about breast cancer amongst his patrons. Since ROH’s inception in 2014, nearly 232,340 people have been diagnosed with breast cancer. Of those, almost 25% have been single women going through treatment. Learn more how to help at http://raysofhopefoundation.net/. 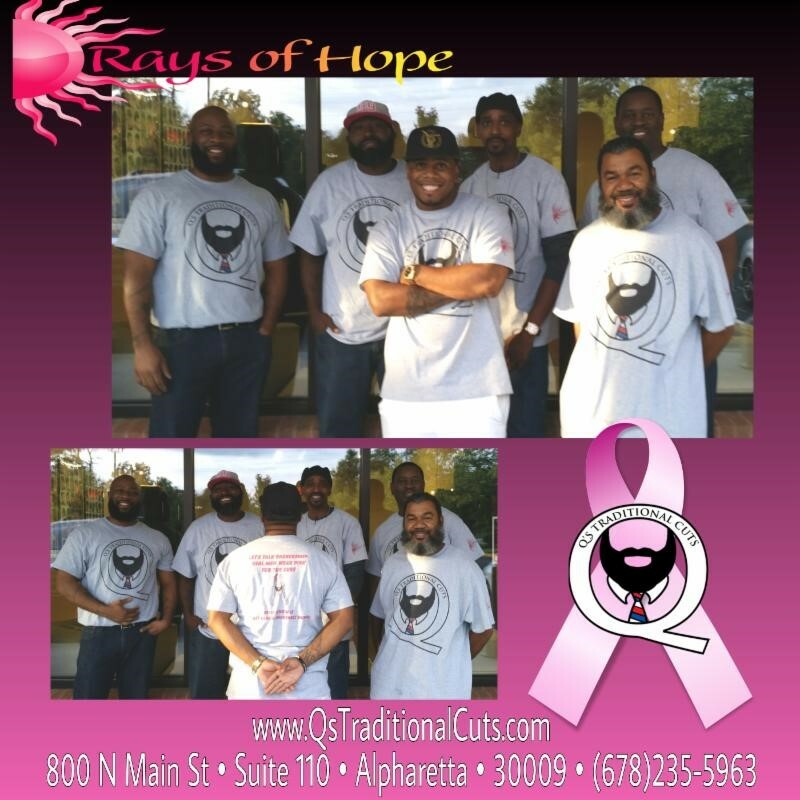 Opened in May 2015, Q’s Traditional Cuts is a classic barber shop that is deeply rooted in the community. With pride and consistency, Q’s Traditional Cuts, offers quality haircuts to men, women and children, while at the same time providing a relaxing atmosphere where clients can congregate. For more information visit http://www.qstraditionalcuts.com/. Dedicating Woman Hours to Help Jump Start the Organization and Help Women in Need. April 8, 2015 – ATLANTA — RIM Solutions, a utility focused strategic marketing and research firm is stepping outside its industry and providing services to Rays of Hope (ROH). ROH, is a nonprofit organization that helps single mothers with their basic needs when they are going through breast cancer treatment. RIM Project Manager Jillian M. LaPorta has been working closely with ROH Founder Tenora Finley on all aspects of the organization’s marketing and online presence. Among the population of women diagnosed with cancer, single mothers have a higher rate of depression, which can hinder and/or prevent recovery. “When it comes right down to it, women need to support each other even more so when support is limited and there is no return on investment and the feeling that comes from helping someone who couldn’t help themselves, is more than gratifying.”LaPorta said. 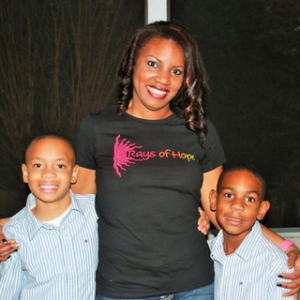 Founded in 2014, Rays of Hope is a nonprofit organization that provides support to single mothers with breast cancer from treatment through recovery. Services provided by ROH include meal delivery, childcare and transportation to treatment facilities. For more information visithttp://raysofhopefoundation.net/.To donate to the startup fund please go to http://www.gofundme.com/mm34ac. RIM Solutions is a utility industry focused research and marketing firm that facilitates thought leader-to-market and solution provider to-utility connections in an extremely effective way. Instead of executing traditional, been-there-done-that deliverables, RIM’s team works every day to understand the market better than anyone else in its category and leverage this knowledge to deliver exceptional relevance and value across all of its services. RIM services include qualitative and quantitative commissioned research, advisory services, marketing and original, proprietary research.